After the tragedy in Parkland, FL, I seriously looked into bulletproof backpack inserts for my kids. I am not a ballistics expert, but I am a pretty good researcher. I found that Level III bulletproof armor is made of metal (steel), and a backpack insert (10” x 12”) weighs about 10 lbs and costs anywhere from $60-$120 (not including shipping). A Level IIIa backpack insert is flexible (made of many layers of Kevlar or another para-aramid fabric), weighs about 1 lb and costs around $60-$120 as well. The difference between Level III and IIIa is that Level III will stop a high powered rifle round (from an AR-15 for example) and Level IIIa will only stop a handgun round (which is much slower). There is a hybrid Level III+ armor that weighs less than the metal Level III, stops high powered rifle rounds, and is made of UHMWPE (ultra high molecular weight polyethylene) plastic an inch thick and costs anywhere from $80-$150. UHMWPE plastic is different from HDPE (a common household plastic) because it has extremely long molecular chains that give it a very high impact strength. I have two kids whom I adore, but I do not have tons of disposable income laying around. I looked into buying UHMWPE itself. For $20 each, I purchased two reprocessed (black) UHMWPE 1” x 12” x 12” sheets from Curbell Plastics (several other companies sell UHMWPE as well). The total shipping for my order was $20 (whether I bought one or two or three). So for $60, I received two one-inch thick 12” x 12” pieces of UHMWPE. This plastic can be cut with any woodworking tools, so my husband cut an inch off one side of each with a table saw and rounded and sanded the edges. The resulting 11” x 12” pieces weigh about 4 lbs each and fit in their school backpacks like a binder (my daughter plans to decorate hers to look like a binder as a matter of fact). 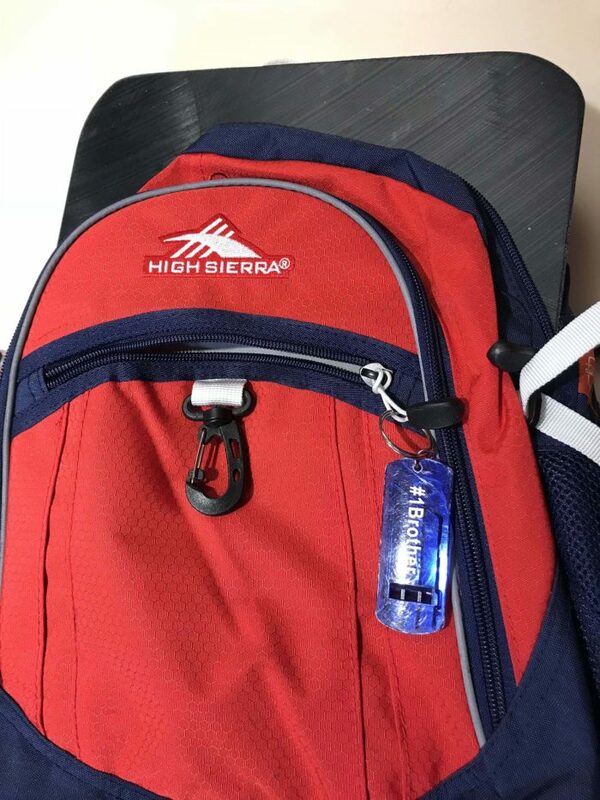 I did have to buy new backpacks with better straps and padding than the typical elementary school character-themed backpack, but I found decent High Sierra backpacks in fun colors for $20/ea at Amazon. So now I’m up to $100 to make me feel a little better about my two kids’ safety at school. I do not promise that this solution is exactly the same as the more expensive, field-tested Level III+ inserts. I make no guarantee that these UHMWPE panels are bulletproof, and I have no intention of personally testing them. I’ll also warn you, my kids do complain about the weight of it, even at 4 lbs (like a heavy textbook). But after hearing that they hide under desks and behind bookcases during school lockdown drills, I personally feel that this is better protection than particle board.